The education system in Singapore was designed to maximise the potential of our small population, in hopes that the talents will contribute significantly to the country when they step into the working world. Because of this, students as young as Primary 5 were defined by their academic abilities through EM1, EM2 and EM3 streams. This has inevitably brought about the labels of the gifted and the bad apples. Later in 2008, this system was refined to become a subject-based banding where students could take each subject at the Standard or Foundation level based on their grades. It was made to allow students to work on their weaker subjects at a comfortable pace while continuing to excel in their stronger ones. A study done by the National Institute of Education concluded that students in the Normal streams tended to be less confident in their abilities. As an attempt to eliminate prejudice across streams, the Ministry of Education will be introducing a subject-based banding in 25 pilot schools in 2020. By 2024, streaming in secondary schools will be fully replaced by this system and this batch of students will be the first to sit for one common national examination. Will the introduction of subject-based banding strike a balance between customisation and diminishing stigmatisation? In a society that places so much emphasis on academic achievements, two dedicated Physical Education teachers in a neighbourhood school saw the potential in every single student. In 2005, Mr. David Vaithilingam and Mr. Lee Seck Kwoon adapted a student leadership programme – the Red Shirts Student Leaders – from Victoria School to fit the then 6-year old Coral Secondary School. 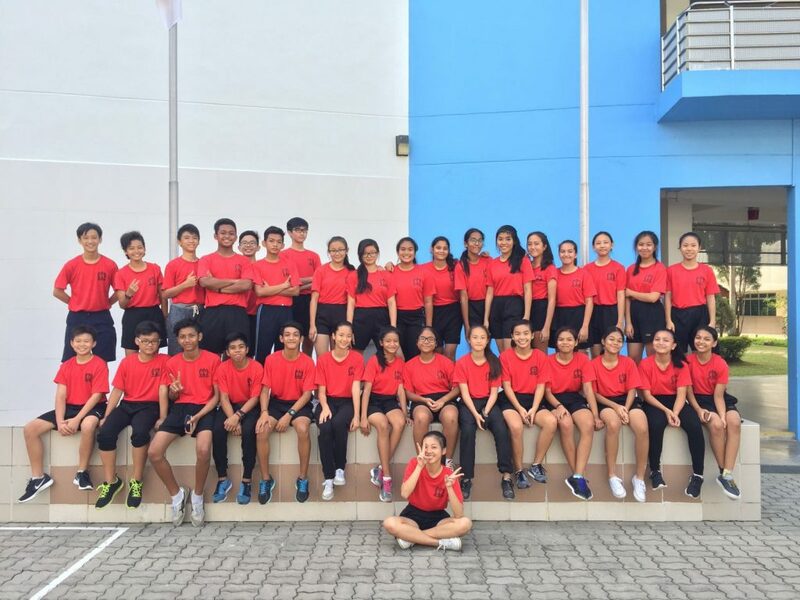 The Red Shirts are a group of student leaders in Coral Secondary School (now known as Meridian Secondary School). They organise school events, camps for various primary schools and the Secondary 1 Orientation Camp, take on leadership positions in their Co-Curricular Activities (CCAs) and in the school. How Do You Become a Red Shirt Student Leader? To become a Red Shirt Student Leader, the student has to voluntarily enrol in a preparatory course, titled “Leadership by Choice (LBC)”. 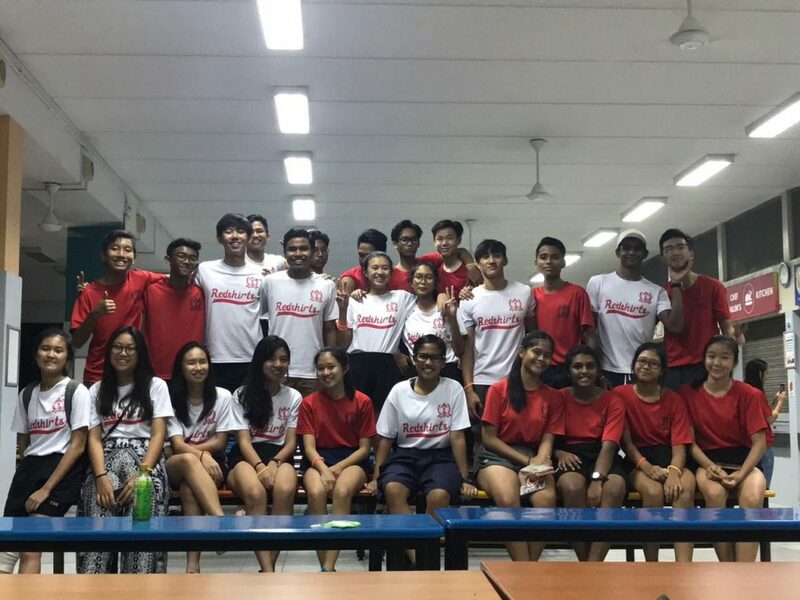 This course is organised by teachers, senior Red Shirts (Secondary 3-5 students) and the Red Shirt Alumni. The course seeks to introduce basic leadership concepts and is a platform for seniors and the alumni to share their experiences and takeaways. 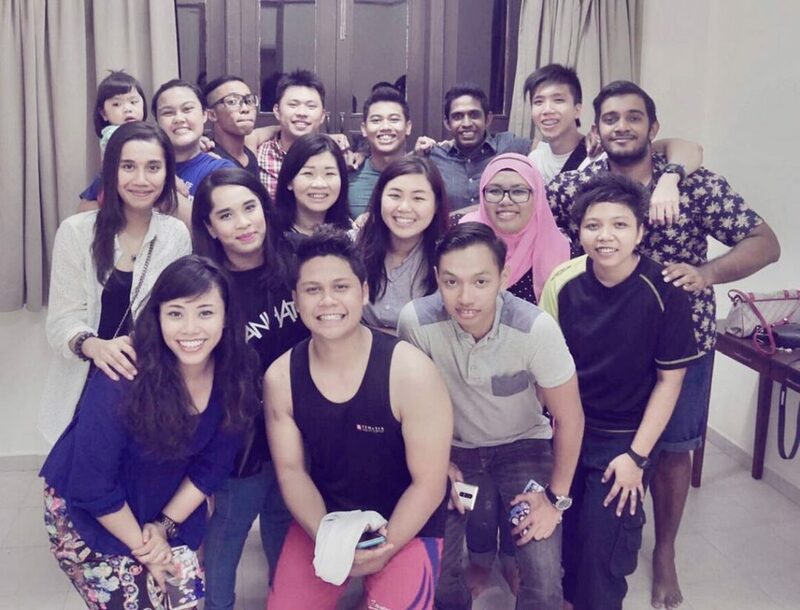 At the end of LBC, a select few will be invited to a four-day camp, titled “Student Leaders Training Camp (SLTC)”. This camp is designed to provide an avenue for students to practice what they have learned and to challenge the mettle and fortitude of the students. Those who complete the camp will then be given the iconic Red Shirt and will be recognised as part of the group. These junior Red Shirts (Secondary 2 students) will then slowly take over appointments and roles held by their seniors. 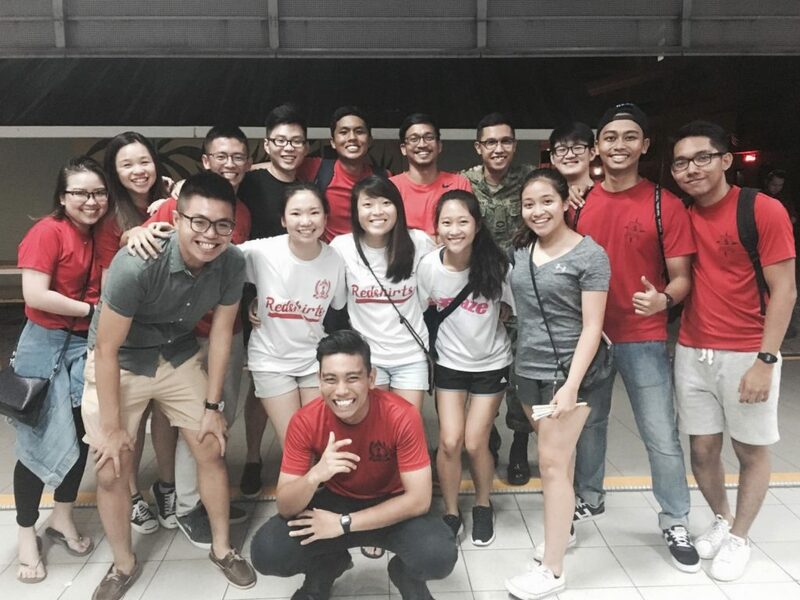 What is the Difference Between a Student Councillor and a Red Shirt? Red Shirts was created to build a sense of belonging in the school and to boost school spirit. A Student Councillor, on the other hand, acts as the voice of the students to promote changes in the school and its policies. The roles of these two leadership groups complement each other to encourage a positive learning environment for all students. The social etiquette course is conducted by the teachers and alumni to share tips and their fine dining experiences. During the second half of the theory course, the Red Shirts will split into two groups where the males and females would go through something tailored for them (chivalry and grooming for guys and grooming for ladies). Lastly, they would get to experience a fine dining dinner at a restaurant to apply the skills they have learnt. 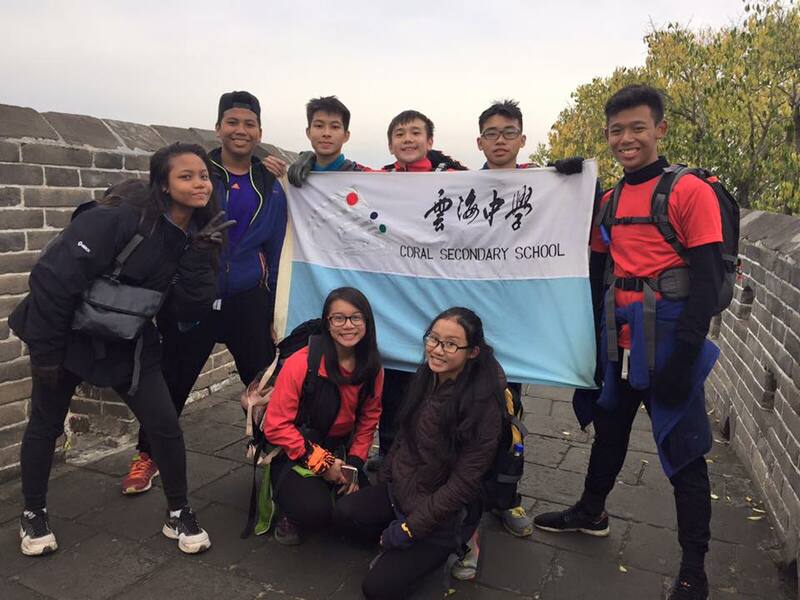 In Secondary 3, each batch (starting from Batch 5) had the opportunity to go for an overseas expedition. Prior to the trip, there would be intensive training sessions to ensure that everyone was ready to take on the expedition. 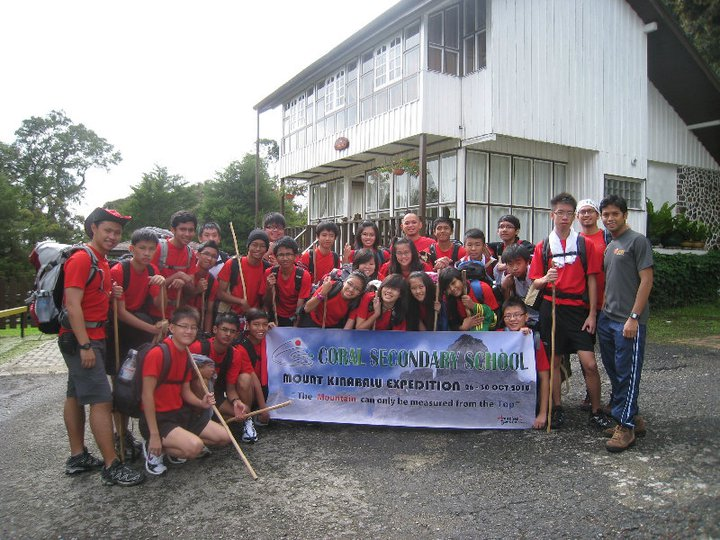 I am pleased to say that I have had the privilege of going for the Mount Kinabalu expedition in 2010. For my batch (Batch 5), I remember training at 40-storey HDB staircases with a full bag of water bottles and snacks to simulate the actual climb. 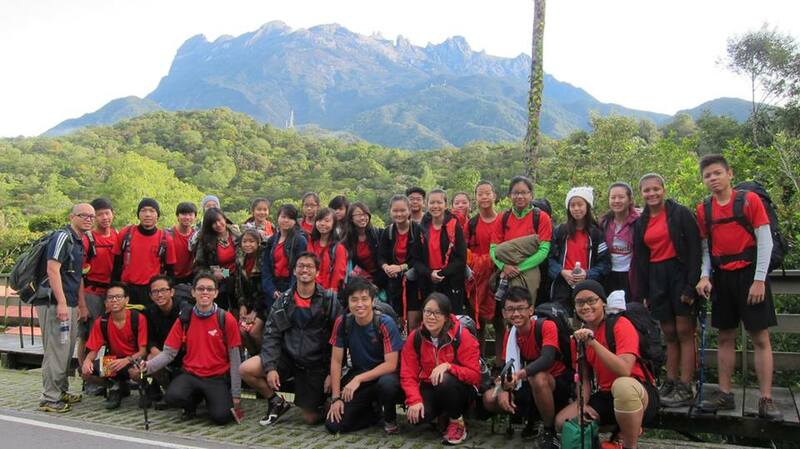 Reaching the peak of a mountain was an achievement that we, as Secondary 3s then, probably never thought we would be able to conquer but we did. This could probably be attributed to the reflection session we had the night prior to the start of the climb. 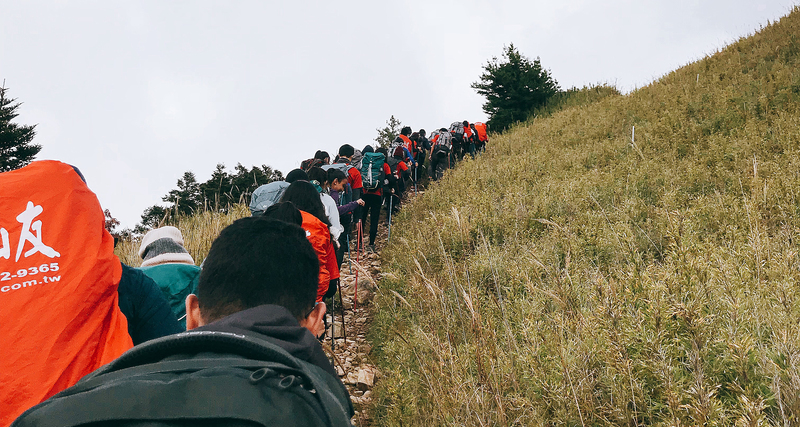 We were tasked to think about our motivation to reach the peak, which all tied back to our loved ones who encouraged us to go for the trip in the first place. Looking back, these were definitely rare and highly sought-after opportunities and we were really fortunate to be exposed to such activities at such a young age. Don’t give me the problem. Give me the solution. These are words that I have held close to my heart since Secondary 2. 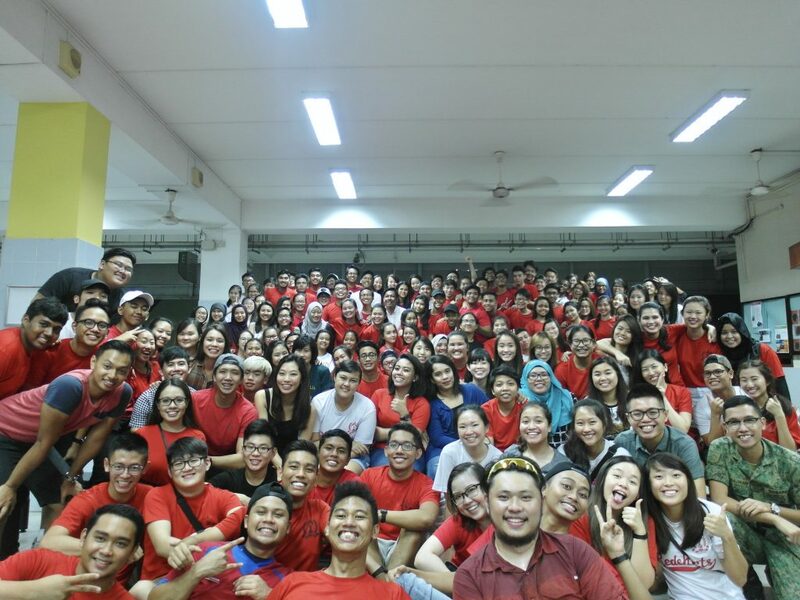 Joining Red Shirts Student Leaders is easily one of the best decisions I have ever made. It is clear that the opportunities that we had have taught us invaluable lessons about respect, resilience, sportsmanship and teamwork. One thing that has stuck with me through the years is the phrase “don’t give me the problem, give me the solution”. While it is pretty funny looking back, it has greatly shaped the way I think about and approach many things in life and it has undoubtedly made me a better team player. Throughout my time as a Red Shirt, I’ve seen Mr. David’s countless attempts to speak up for those who have committed a momentary mistake that was a false reflection of their true potential. It was because of him, Mr. Leong and the other dedicated teachers that we had the chance to prove that we are not the bad apples that some of us were perceived to be. Under their guidance, we have carried out so many events from camps to inter-house events such as Cross Country and Track and Field Meet. These events have not only honed our event organisation and management skills, they have also equipped us with the ability to think on our feet to adapt to unforeseen circumstances. As a result of gaining these vital hard and soft skills, I was never afraid to take on leadership roles even after I graduated from Coral. I went on to become the Captain of my CCA in Junior College and the Chairperson of my hall’s Dinner and Dance Committee in University. But my biggest takeaway from this experience is definitely the lifelong friendships I have built along the way. 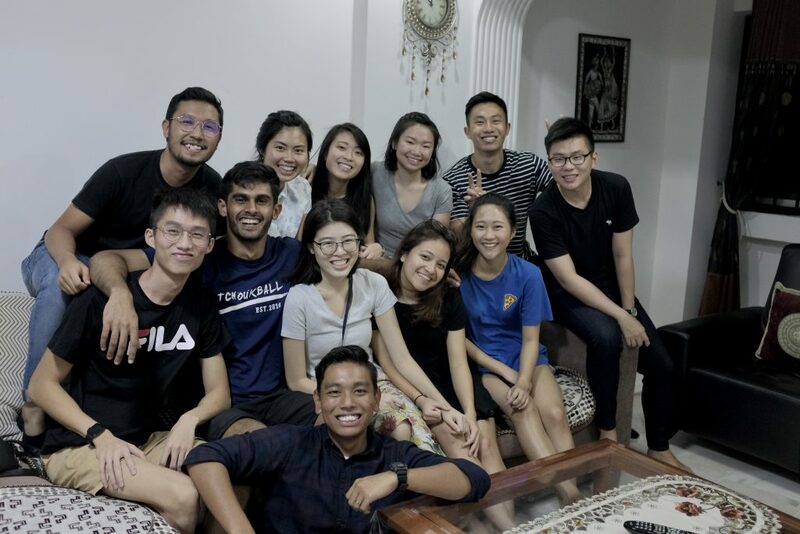 I strongly believe every secondary school in Singapore should consider implementing this leadership programme to inculcate students with the right values from young. 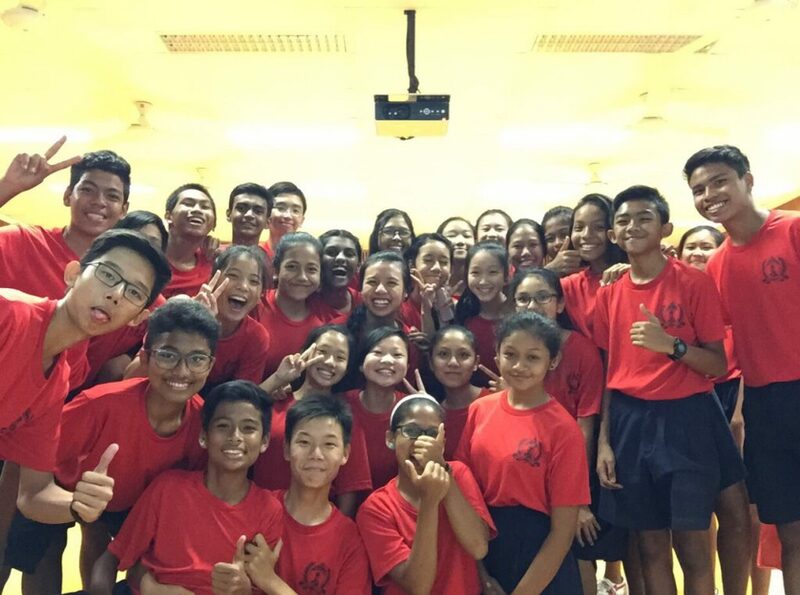 Today, Red Shirts includes students from both Coral and Meridian Secondary School and is 15 batches strong. Singaporeans should move away from a narrow focus on grades to embrace a broader meritocracy of skills and give more support to those who lag behind. 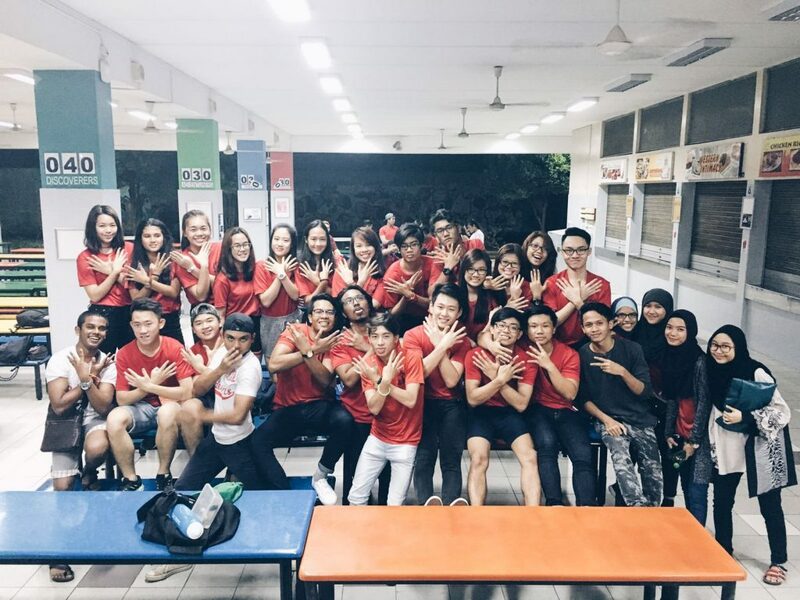 The Red Shirts Student Leadership Programme provided the perfect platform for students to better themselves, regardless of their stream. In fact, the teachers-in-charge often looked into bringing students from the Normal streams on board and that allowed them to develop purposefully beyond academic pursuits. With such a leadership programme put into place, it further manifests the importance of inculcating values in students. By empowering them to recognise their strengths and weaknesses early, it will undoubtedly propel them for greater things in the future. Streaming or not, holistic education should be kept as a key priority. I would like to express my gratitude and utmost appreciation to the teachers involved for giving me the opportunity to participate in this student leadership training programme. Red Shirts Student Leaders in Meridian Secondary School is built upon a framework that cultivates students to become lifelong learners and active citizens. With competent trainers and clear objectives in place, the training programme has successfully met its objectives all these years. It also teaches us to appreciate the essence of life and to contribute back to the society by leading the way. This programme is designed to train young minds to cultivate good morals, values and qualities that they can bring to their family, friends and those who are in need. I am ever thankful for Mr. David Kelvin Vaithilingam for designing and conducting this training programme. It has greatly impacted my life and the lessons learnt have constantly been serving me well in my education and career as a researcher. He has indeed created a batch of lifelong leaders through this brilliantly crafted holistic programme. Being a Red Shirt has inspired me to lead others, just like how the teachers have led my peers and I. Back in school, I was always “pro-active” and loud. 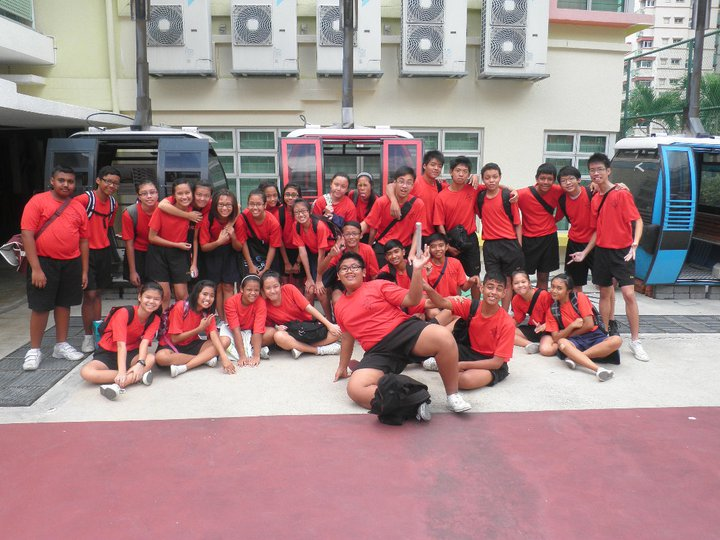 Instead of wasting all that energy, the teachers decided to put me through the Red Shirts programme. The programme has taught me how to project my voice, manage a large group of people and made me realise how amazing it is to be a leader. A leader is not just one who gives orders or allocates tasks in order to execute an objective; a leader also guides and pushes those who are struggling. But ultimately, what I learnt during the programme was to take a step back to see the bigger picture because it’s not about what we have achieved but how we achieved it. So, I thank the teachers for inspiring me to be a leader and a better person. 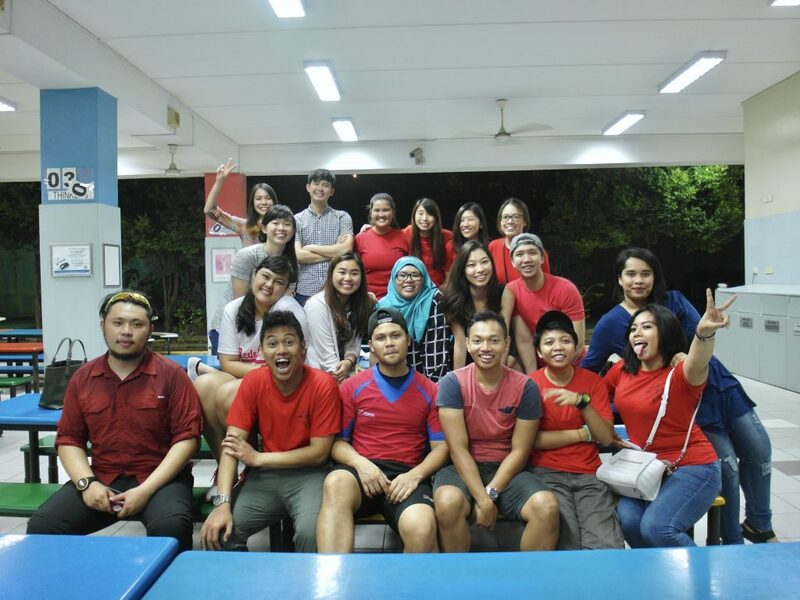 Both my fellow Red Shirts and the programme have shaped me to become who I am today – an inspiring floorball coach. In Secondary 1, I was fairly notorious and mischievous, getting into fights and not focusing in class. Somehow, this caught the attention of one of the teachers who was in-charge of Red Shirts back then, Mr. Lee, who offered me a slot in SLTC despite my absence from LBC. I was then awarded the “Best Camper” award at the end of the camp for my performance. 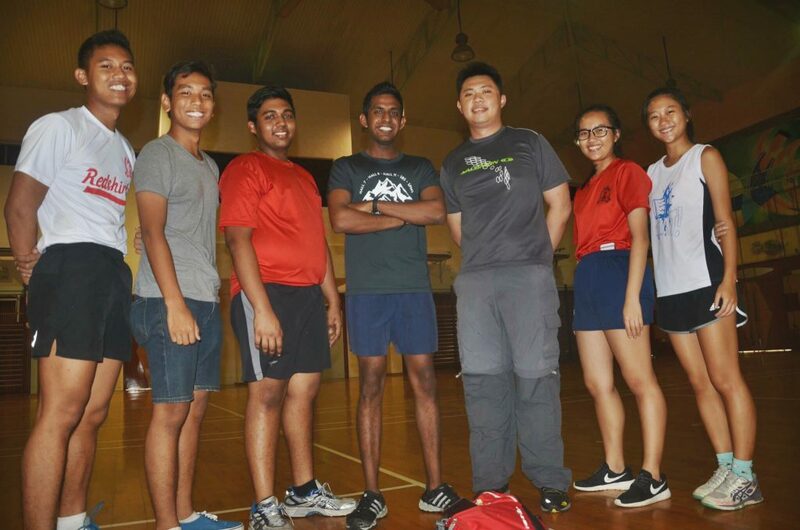 Up till 2014, I continued to be involved in LBC, SLTC and all the camps ran by the students. Along the way, I’ve tried to influence others to contribute like how I did, to take on a mentoring and grooming role as seniors and alumnus. There are multiple lessons and concepts that I’ve learned that are still relevant to me now – simple basic ideas that are timeless and universal. However, the one takeaway that has impacted me the most is the importance of finding value in investing in people’s lives. The manifest function of Red Shirts is to simply make better people and to make people better, everything else is just latent. Empowering individuals to realise their potential, to better themselves. Empowering leaders to realise the importance of helping others achieve their potential, to build others up. It is safe to say that being in Redshirts helped get me to where I am today. Redshirts enabled me to love the outdoors, do camps, bring people together and it gave me the necessary skills for me to progress in my life. I am currently an Outdoor Adventure Educator and being in Redshirts helped to provide me with the values that I currently would want my own students to learn during my own programmes as well. The experience and opportunities during my school days have given me the advantage when I was applying for the job as well as when I first took students for a programme. Redshirts provided me with the platform to explore what I like, what I’m good in and what I can improve on. That allowed me to keep striving to hone the skills that I am good in, and constantly work to turn my weaknesses into my strengths. All of these would not be possible without the help and support of the teachers, Mr. David and Mr. Leong. Without their help and trust in me, I would not be where I am today. Having this opportunity really turned my life around and shaped me as a person today. A big thank you to the both of them for giving me the chances time and again, and with that, I am very grateful. Redshirts really changed my life, and there is so much I would want to do to give back. Being in Red Shirts have not only honed my leadership skills but have also taught me lessons that I often look back on whenever I face difficulties in life. It has also sparked my interest in planning and executing events, and thus fuelled me to take on bigger roles in University such as the Rag and Flag Project Director for my faculty. These positions have not only allowed me to give back to the community, but they have also empowered me to mentor the other batches of leaders after mine. The takeaways from Red Shirts have enabled me to handle unforeseen circumstances better and always give my best in whatever I am doing. With that, I am thankful for the opportunities and faith that the teachers in Red Shirts have in me and my batch, allowing us to grow into the individuals we are today. When I was 14, I was given the opportunity to represent Red Shirts as a student leader. Since then, I was appointed various leadership roles in secondary school, and I was entrusted to lead my peers in various school activities. These invaluable opportunities not only helped me step out of my comfort zone, but they also instilled in me many different life lessons that shaped me into the leader I am today. These experiences still remain as a significant part of my life. Being a Redshirt also enabled me to harness my strengths and identify my weaknesses. 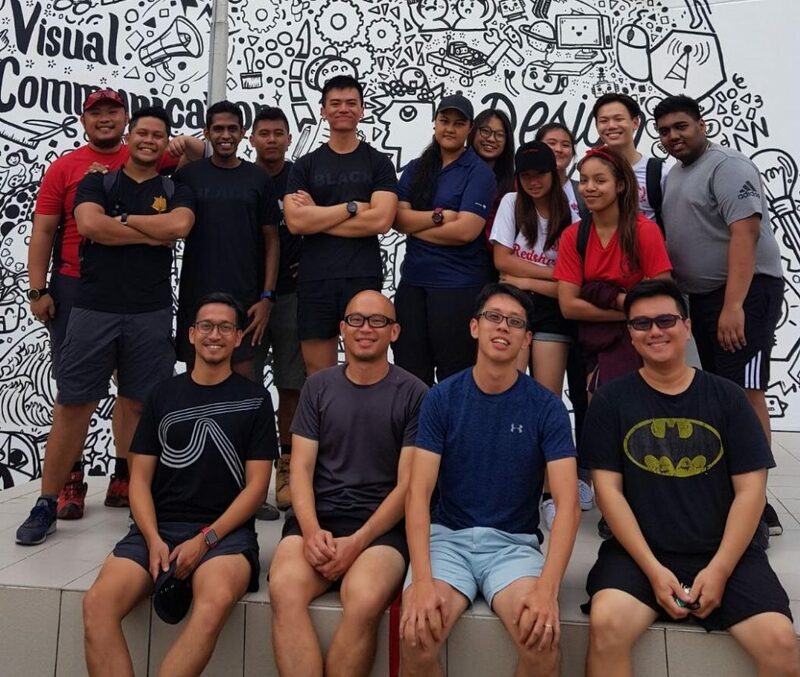 A closely-knitted relationship with my fellow Red Shirts has aided me in my journey to accept my weaknesses and constantly work to become better. I will always remember the lessons I have learnt and the kind of leader that our teachers always reminded us to be – one who does the right thing, even when no one is watching. I would like to thank the teachers who are involved in making Red Shirt what it is today. I can truly see that the teachers put in their best effort in helping to make a difference to the lives of the student leaders, and they are very passionate about what they do. They have taught me many important values that I still hold close to my heart, and I believe that Red Shirts have played a huge part in shaping me into who I am today – someone who is able to handle challenges calmly while keeping my head up and to always be accountable for my actions. Being a part of Red Shirts has expanded my view on leadership and helped to strengthen my values and beliefs. Demonstrating and teaching the values of being a respectable leader, my teachers-in-charge have also shown my peers and I the different types of leadership that can exist besides the conventional. We were taught values such as integrity, courage, humility and compassion and to be confident enough to lead from the front but humble enough to learn from the back as well. In particular, I remember being taught how having a strong sense of belief in your values allows you to communicate your ideas and opinions with passion and conviction. Hence, remembering this tip has allowed me to be a source of motivation and positive influence on my peers as well even now. Noting that this is one of many other valuable lessons I have been taught, it is definitely safe to say this unique Red Shirt experience has shaped me to become not only a good leader, but a respectable all-rounded individual as well. Being a part of the Red Shirt leadership family has made me learn how to be able to work well with other people to plan for an event. 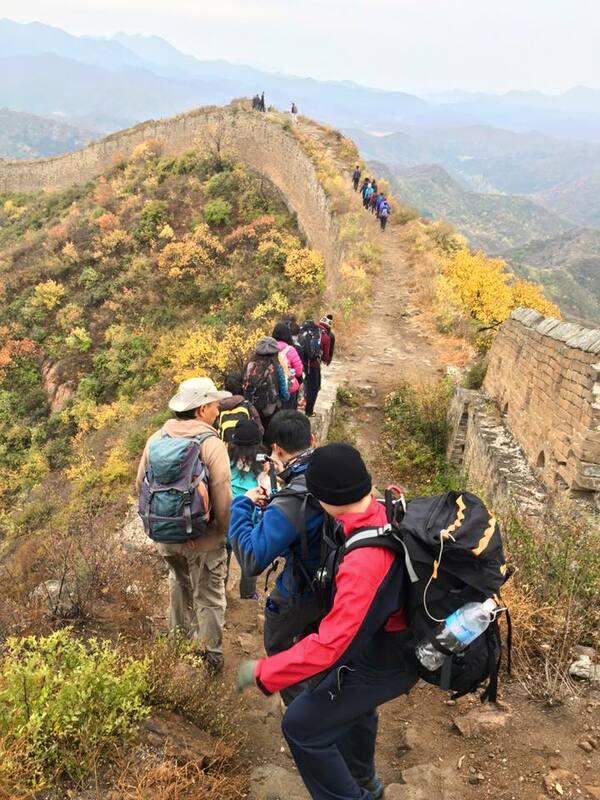 The biggest one would have to be our trip to Beijing to trek The Great Wall of China. Throughout the trek, I realised we did not put much emphasis on who we were trekking with; instead, we made sure to support one another and just have fun. I am very grateful to the teachers for seeing the potential in me when I was younger and I am proud of my younger self for stepping out of my comfort zone to try new things. I was not only given a leadership role but I was welcomed to a family. Even after years of graduating from our secondary school, the Red Shirt leadership family will always return back as alumni. It is beautiful seeing batches from 10+ years ago still coming back to contribute despite having their own commitments. I would not trade this family and experience for anything else. Having the ability to organise camps and facilitate events at a young age has allowed me to grow as a person and work together as a collective group towards a common goal. Exposing myself towards large crowds for things such as leading cheers during sports games or inter-house events have made me more confident to be in the public eye. I am no longer shying away from being the centre of attention, but still knowing when to take a step back. I have learnt the value of perseverance through circumstances that might not go as planned – thinking on my feet in terms of handling situations by looking for solutions instead of repeating the problem. I have also realised the importance of togetherness, while also knowing who and how to mix around with others. Red Shirts has definitely allowed me to communicate with others much better, be it in front of a crowd or when holding a casual conversation. It is now easier for me to plan out situations, as I am able to think about different possibilities and outcomes. I always treasure the moments that I have together with my Red Shirt friends and the teachers, as we continue building memories that will last. One of the things I have learnt from Red Shirts is how to voice out my opinions. 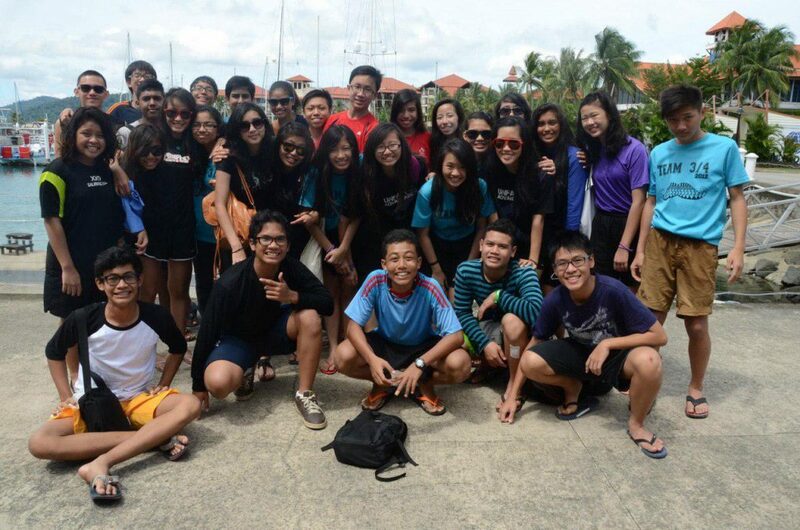 As Red Shirts, we are constantly planning events such as camps, sports days etc. These events require us to discuss about how it should be carried out so that the participants will be engaged throughout the event while being safe. In the past, I would often keep my opinions to myself as I would think that others have better ideas than me. But because of LBC and SLTC, I got to understand that by speaking up, I am able to contribute to the planning to make it even better. During our expedition in Taiwan, we had to climb the Snow Mountain which was 3886 metres above sea level. It was a tough climb for many people as many of us started to get altitude sickness and feel pain in our knees and ankles nearing the peak. In order to help them out, we decided to split the load in their bags to relief some pressure off their joints. 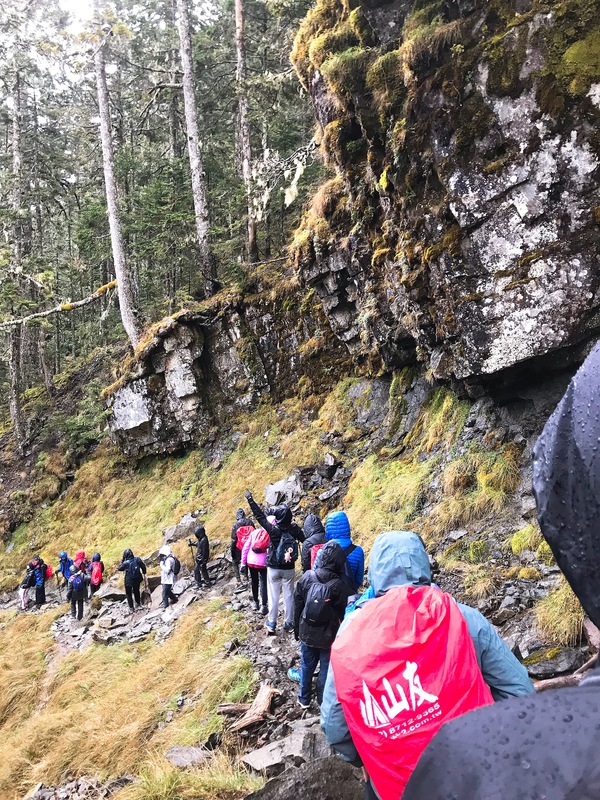 This helped to encourage our friends to finish the climb and has taught me to care for my group mates’ wellbeing and to persevere through any challenges that come my way. I believe that I have become more confident, outgoing and determined because of Red Shirts. It has allowed me to start conversations with my classmates easier in the new school that I am currently in.